For all Millac Cream Family promotions and competitions click here. 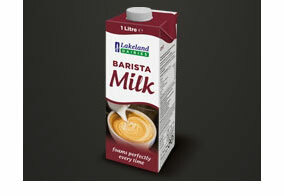 The latest addition to our portfolio of dairy solutions, Barista Milk has been developed to help caterers deliver the ultimate long-lasting frothy coffee. 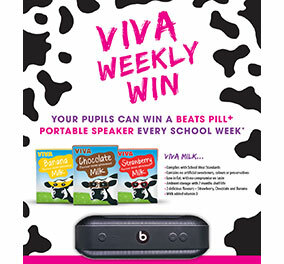 Viva Weekly Win offers pupils aged 12-17, the chance to win one Beats Pill+ Portable Speaker every school week between 2nd May and 15th December 2017. For more information on the competition and for full terms and conditions please click here. 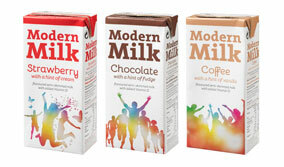 FREE sample of Modern Milk, along with a POS kit. 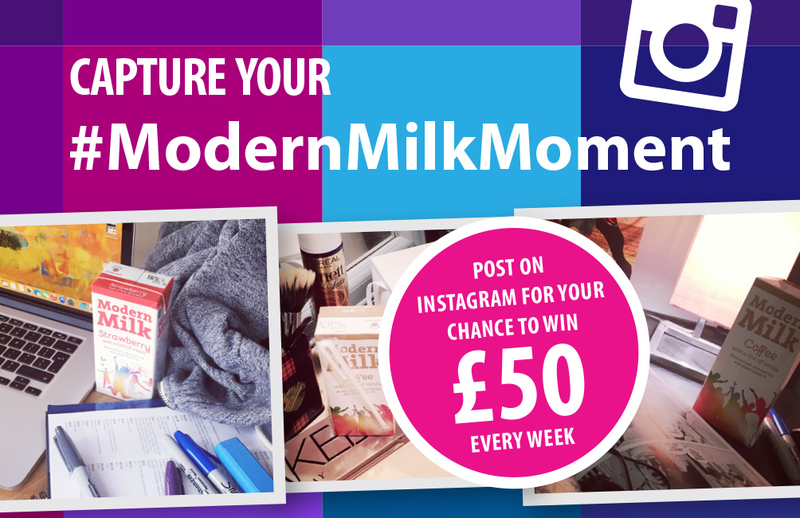 Modern Milk Moment - the new student campaign in universities and colleges. and @ mention their college or university for their chance to WIN £50 every week until the 27th May 2016. 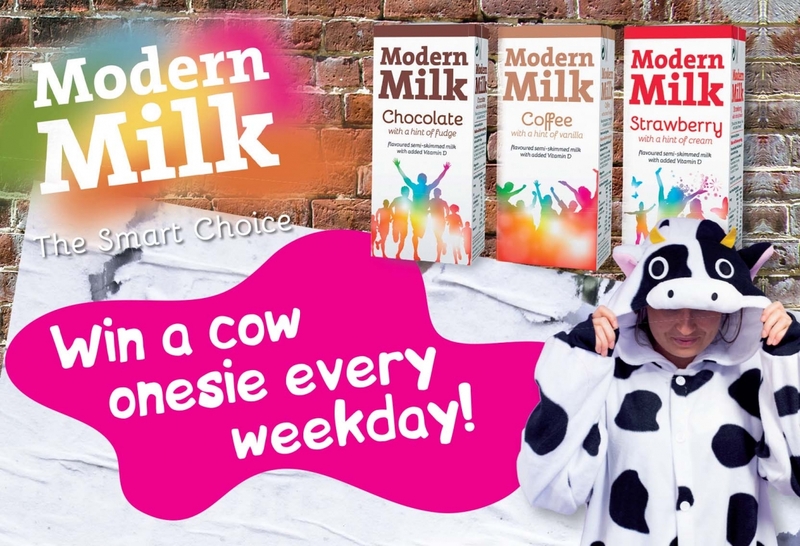 Win a cow onsie every weekday! Modern Milk's Consumer Promotion is back; running every weekday from 28th September to 27th November 2015.
with their favourite Modern Milk to @ModernMilk. 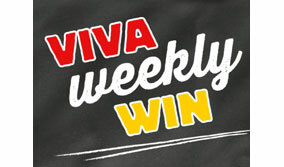 Following the success of Viva Daily Win, which in five years had grown to become the education sector's biggest annual promotion, new Viva Weekly Win will reward pupils who drink Viva Flavoured Milk with the chance of winning an even bigger and better prize - Beats by Dr. Dre Solo HD Headphones - every school week, from 5th May to 18th December 2015. 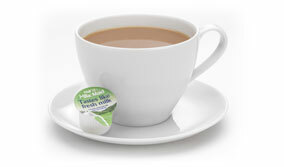 See if you can tell the difference between fresh semi-skimmed milk and Millac Maid Half Fat Mini Pots in tea by requesting your free samples. Participants in our live challenge couldn’t and neither could consumers in blind tastes test for Leatherhead research. But we’d like you to see for yourself. Click here to watch the Millac Maid Tea Challenge.